Thursday, August 30, 2018 Join Us for our Next Webinar! 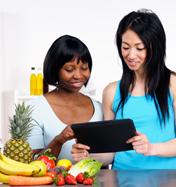 This webinar will cover the many opportunities CNM’s have to expand nutrition practice to receive payment for nutrition and nutrition-related services in multiple settings. MNT leads to improved clinical outcomes and reduced cost; expanding the role of the RDN as part of the healthcare team can be seen as an investment to prevent readmission, improve the health and wellbeing of the patient, and positively impact the bottom line. Topics will include RDN involvement in outpatient MNT services, Intensive Behavioral Therapy for Obesity, hospital observation patients, telehealth, and home health.